"Eating is a need, enjoying is an art." 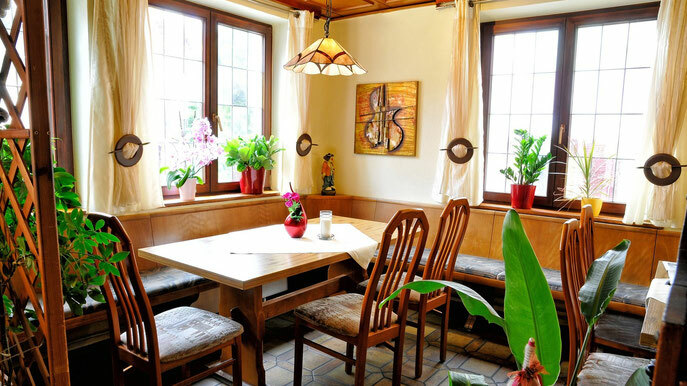 Through our origins in the Kochertal Valley and in the South of Germany we have decided to cook regional, but also offer some international dishes on our menu. We offer homemade Maultaschen and fresh salads but also best Argentine beef steaks and homemade pizzas. The right answer for every taste.